Der BDR G1 B ist ein französicher schwerer Panzer der Stufe 5. Die Ingenieure der Firma Baudet-Donon-Rousell schlugen dieses Projekt für ein neues Fahrzeug im Juni 1938 vor. Die Entwicklung wurde jedoch nicht weiter verfolgt. Der BDR G1 B führt zum ARL 44. 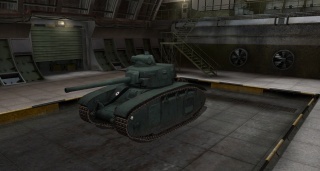 Very slow rate of fire on the 90 mm DCA 30 gun (Can be helped with a gun rammer), combined with its mediocre accuracy. A non-upgraded BDR G1 B leaves much to be desired, its early weapons are relatively inaccurate and lacking in penetration(although second 75mm gun is OK for It's tier). 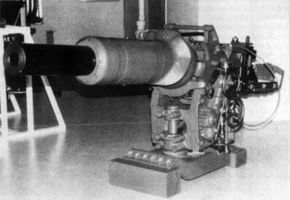 The gun with which the G1B truly begins to show its potential is the 90 mm DCA 30. 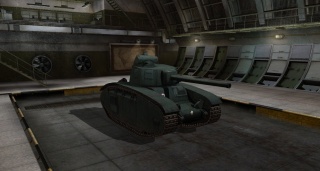 After the removal of the 107 mm ZiS-6 from the KV-1, the DCA 30 is the only Tier 7 gun available to any of the Tier 5 heavy tanks except 7,5/5,5 cm Waffe 0725 on VK 30.01 (H). It is quite an outstanding weapon; losing in penetration and accuracy only to the 75 mm Vickers HV of the Churchill I and the 75mm cannons of the VK 30.01 (H), the DCA 30 deals nearly double the damage, although it reloads much more slowly. 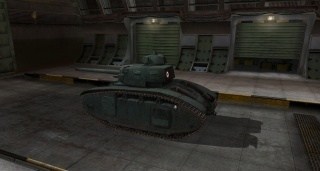 It can destroy any Tier 5 heavy with merely 3 penetrating hits. This gun is also accurate enough to allow the G1 B to take shots from a fair distance, though the relatively slow aiming speed and low rate of fire make this more difficult. 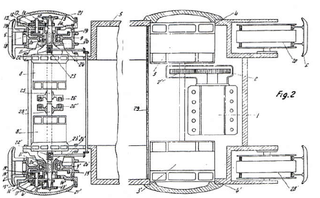 The Renault T14 engine should be the next priority for a welcome increase in mobility. 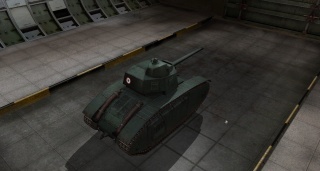 The 90 mm DCA 30 is highly recommended to be researched on the G1 B, even though it does not unlock anything, because not only is it the best gun on the G1 B, it is also used on the following ARL 44.